Hey lady, I recognise YOU. You’re the partner/mother/friend/worker/helper/student/carer/cook/cleaner/taxi driver/party-animal/hostess-with-the-mostess/*pile on MORE here*. You’re busy. Super efficient. Zipping here and popping there. Always giving. Hardly ever complaining. You ARE Superwomen…pants over the tights and everything. And YOU are EXHAUSTED. STRESSED. Too busy to look after yourself, huh? It’s only a bit of weight gain. Sure, it’s normal to be a bit forgetful once you’re in your 30s or more, right? You’re not really a sugar-addict. Let’s just check that you’re not TOO stressed. Let’s take a look at your adrenal glands. 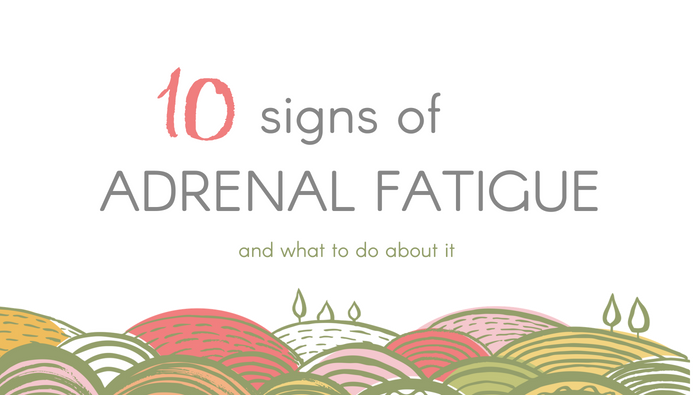 Let’s look for signs of adrenal fatigue. If you’ve been busy and stressed for a long time, your poor old bod has been flat out. Flat out producing hormones like cortisol (the stress hormone) and other “up” hormones. Your poor adrenals have been flat out. Two glands that look like squished apricots. They sit on top of your kidneys. Adrenals give out hormones that affect energy, blood chemistry and more. Adrenals are also important to our reactions to stress. Speeding up our heart rate. Raising blood pressure. Narrowing blood vessels. Boosting blood sugar. ALL so that we can do the fight or flight thing. If a Woolly Mammoth was going to eat us. Mother Nature designed us so that we could be ready when danger was near. BUT I’ve had similar feelings. When I was responsible for millions of pounds, hundreds of people and important projects with looming deadlines. A “danger” that never went away. And when such dangers are constant, our bodies are in “fear” mode all the time. Our hormones are haywire. We risk adrenal fatigue. Mine got zonked. Constant stress causes high levels of the stress hormone cortisol too. Cortisol helps balance blood sugar. It regulates inflammation in the body. It’s important for how our cells and muscles work. High cortisol can lead to weight gain, forgetfulness, sugar cravings, dry skin and much more. Sound familiar? And over time, the delicate balance gets out of whack. When adrenal hormones get out of whack, other hormones can get out of whack. It can affect your cycle, fertility, thyroid function and much more. So how do you know when you have adrenal fatigue? Constant tiredness, especially after exercise (if you can be bothered). Or even trying to get out of bed. Low metabolism and/or low thyroid. Low immune system and catching coughs, colds and ‘flu. Irregular periods with sore/lumpy breasts. Also lack of ovulation and difficulty falling pregnant. Trouble handling stress and coping with life. Dark patches, freckles and darkening of the skin. If you have any or all of the signs, see your Doctor. They will be able to help diagnose with tests. Stimulants – yes please quit the caffeine…coffee, tea, chocolate, caffeinated drinks. And cut back on the booze. Sugar and refined carbs because they send your blood sugar, energy and moods on a rollercoaster. Processed foods, non-organic meats and dairy – basically avoid chemicals, added hormones and GMO. Manage stress and busy-ness. Get support or help. Exercise. Meditate. Get creative. Grab “me time”. Do whatever it takes. Get enough rest and sleep. They are not the same thing. BOTH are important. Eat for nutrition. Plenty of veggies and fruits, good fats, good quality protein, complex carbs. And stay well hydrated. Take the best quality multivitamin and mineral complex you can afford. You get what you pay for. See a nutritional therapist for specific advice to you. Speak with your Doctor for a diagnosis and start with some super self-care. Today.